What started as a way to hone my craft as an artist, soon became an obsession to explore the composition and movement of the figure. The model, regardless of gender, age, or body type, represented me and what I was going through during that period of time. I am alone. I want to be alone. The messiness of my crowded mind translated to the drawings. These compositions were my inner conversation with myself. At times the density of the figures overlapping represented the overwhelmed crowded thoughts I had, while the more spacious compositions symbolized the more space in my mind. 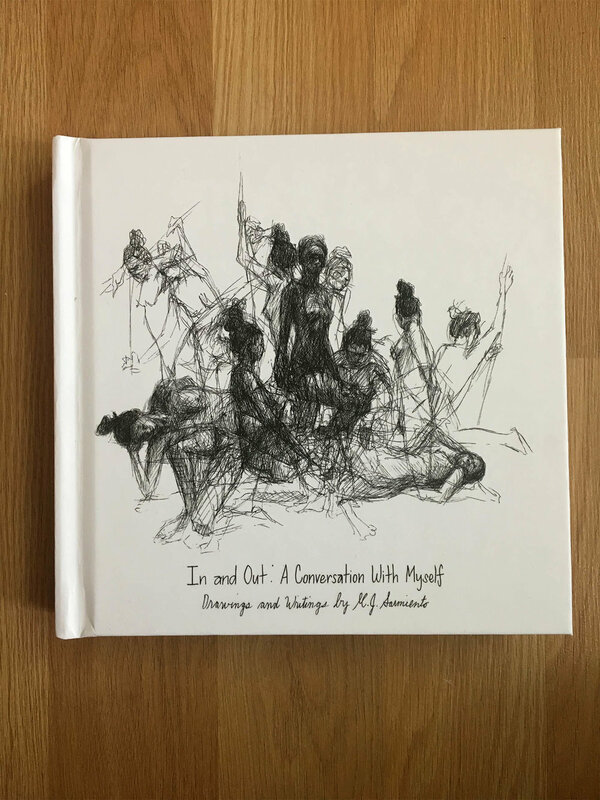 This collection of drawings represents a selection of 70 drawings from over 300 drawings in the past two and a half years. These drawings are presented in order to help the flow of the book. From the solo journey of the single figure to the multiple placement of the same figure in one composition, my intention was to depict the ongoing movement of the figures back to the solo journey within myself. In and Out: A Conversation with Myself.